This little slice of luxury will stand the test of time, becoming even more beautiful as the supple Florentine leather developsa rich patina over time. 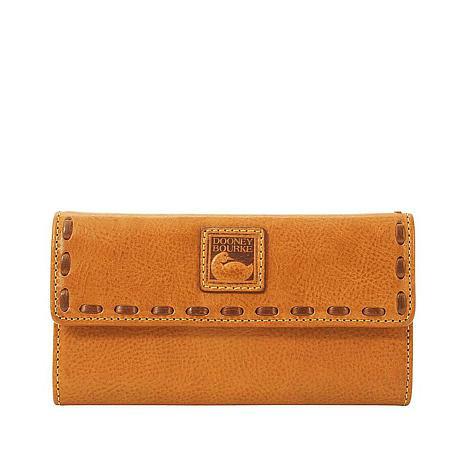 It's not just a wallet, it's a treasured essential for carrying cards and currency in style. I loved the wallet but the blue didnt match my Dooney purse so I sent it back. The blue color wasnt the same color as the blue in my purse. Love this wallet. Leather is awesome and I expect it to last for years to come and get even prettier as it ages. 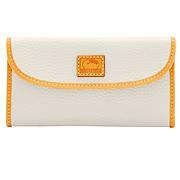 I tried to purchase a new Dooney purse on HSN but it was not offered so I bought it elsewhere. 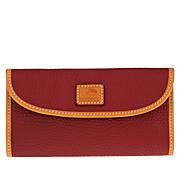 I needed a matching wallet and was glad to see it on HSN. I used the new credit card option in order to save $20 off the price. 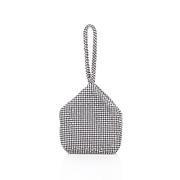 Outshine the rest with a bag that features "WOW" factor. Jeans and a tee? Oh, yes. Your favorite dinner dress? Yes, yes, yes! 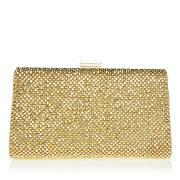 Turn heads with this sparkler.